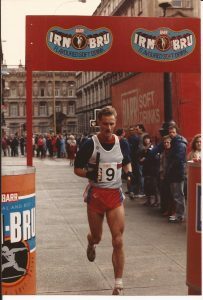 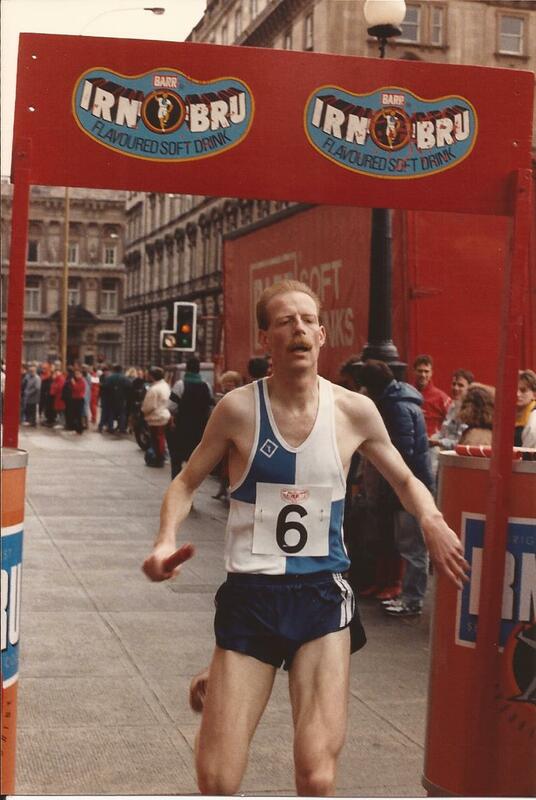 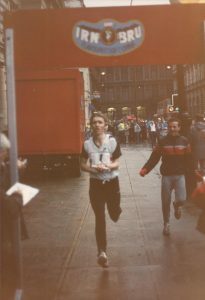 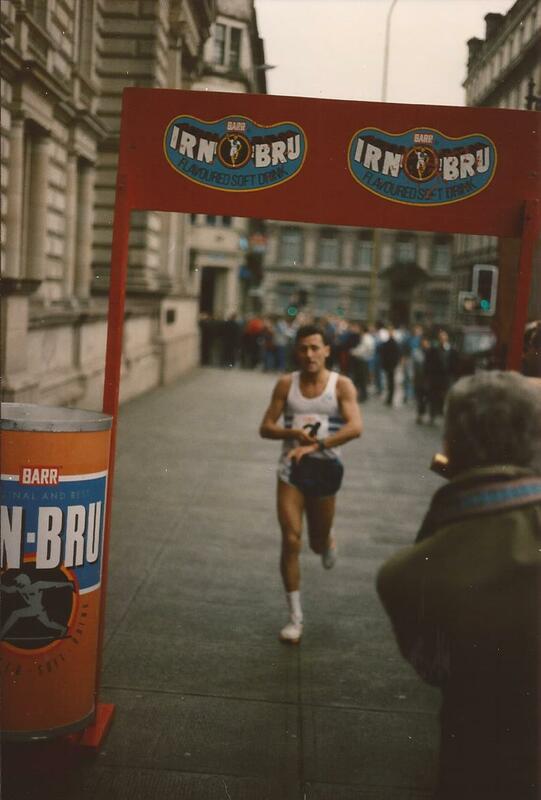 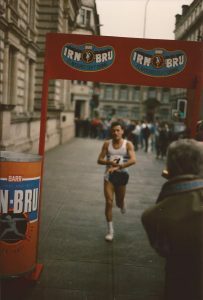 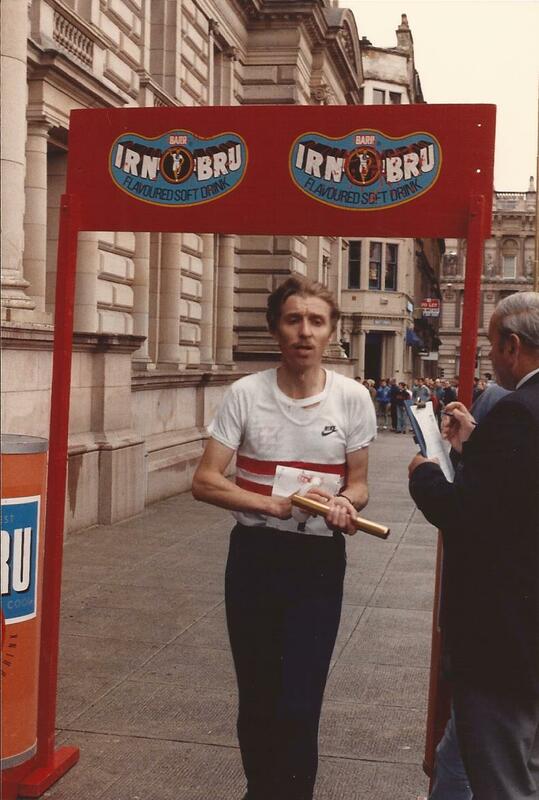 For almost its entire duration, the race finished in Exchange Square in Glasgow, and there was always a crowd all the way along the road to the banner – originally a News of the World banner, then the Barr’s Irn Bru gateway. 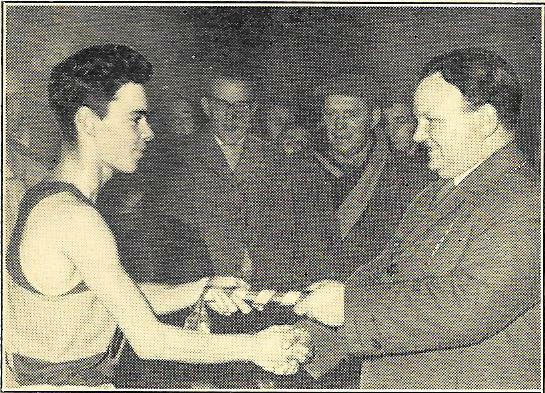 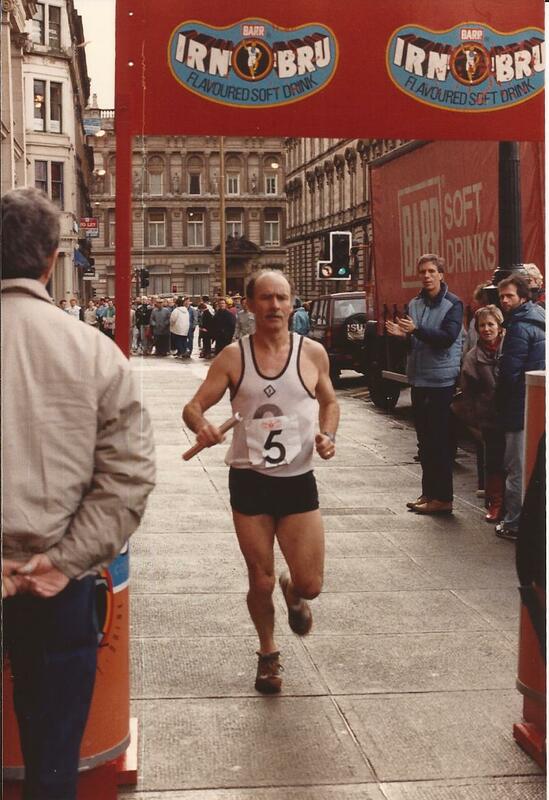 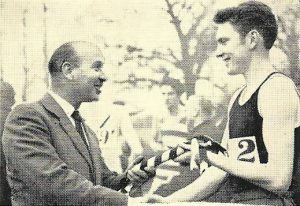 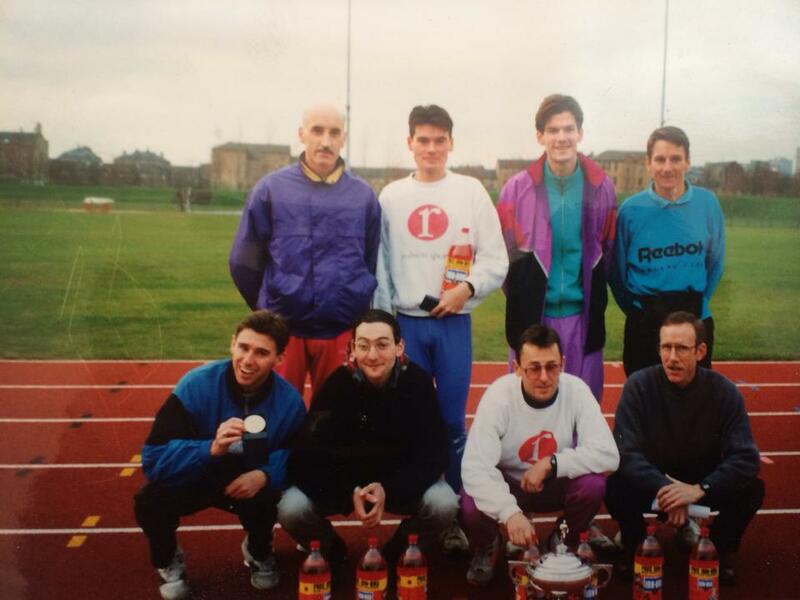 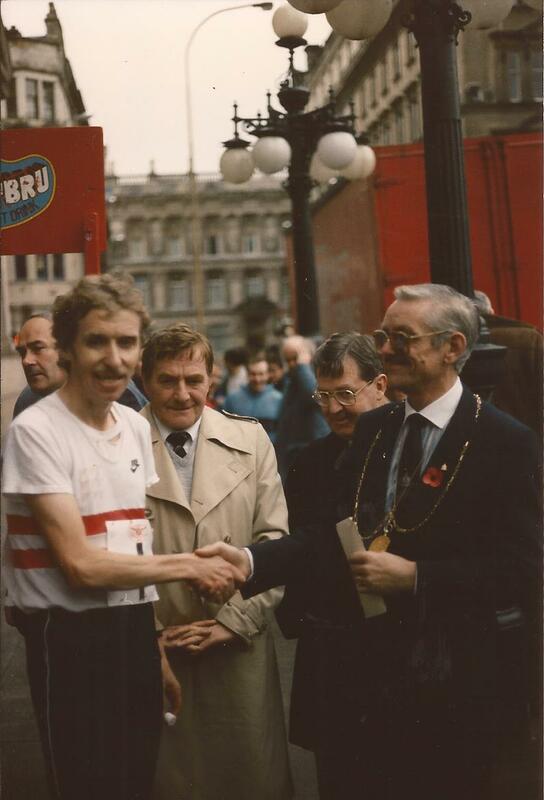 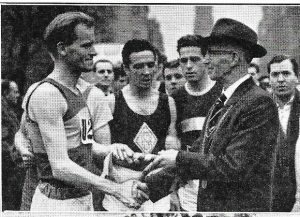 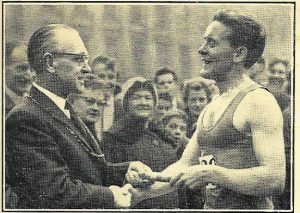 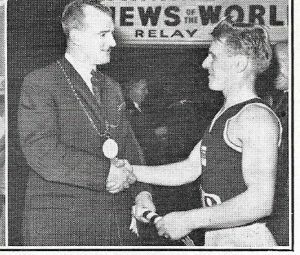 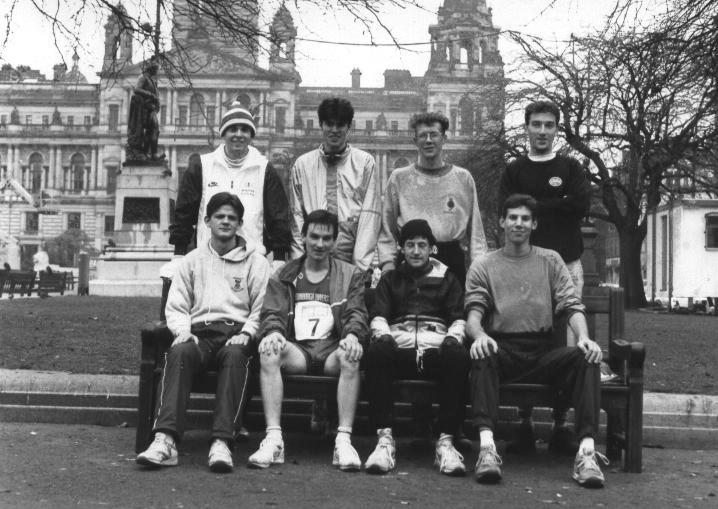 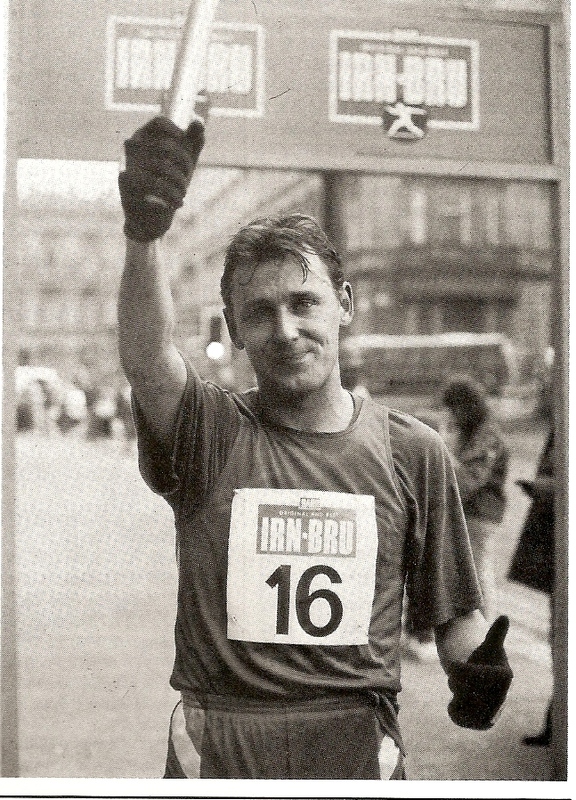 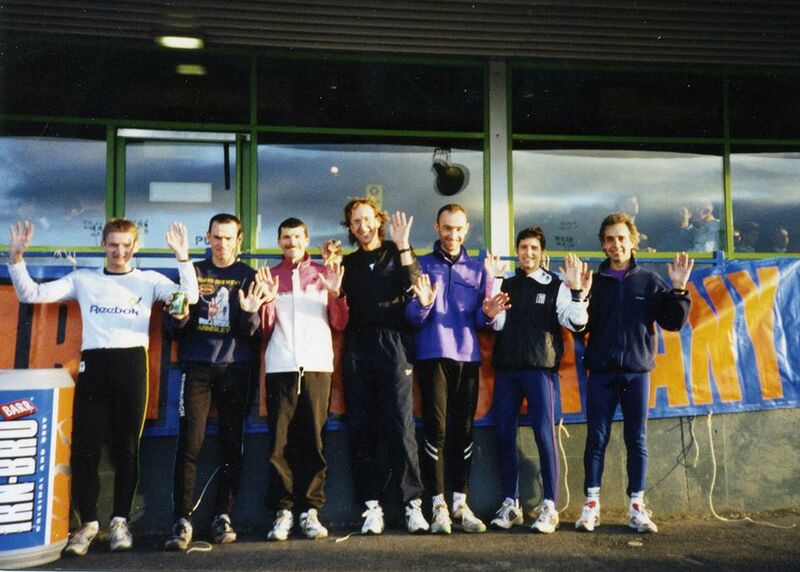 The first runner, in this case Colin Youngson of Aberdeen AAC, crossed the line and was immediately surrounded by officials who made sure that he was OK, then led him to the Lord Provost or his representative who retrieved the message from his counterpart in Edinburgh from the baton. All this while, the other runners from other clubs were crossing the finishing line and they, in their turn, were swamped by club supporters. The colour photographs below are from Des Yuill. Not sure where the one above came from but it typifies the relief of any club that performed up to expectations in the race.